Available 9:15-12:15. Under the supervision of paid caregivers, infants and toddlers are engaged in a safe environment of age appropriate toys, visuals, and practical needs. Ages 4 through 5th grade gather in Room 228 on Sunday mornings for fun hands-on Bible-centered learning and activities. Offers smaller children an age-appropriate worship experience during the regular worship hour. Kids love to praise the Lord with music. Check the children's choir schedules to see where your little one fits best. Will be during early June this year. Look for more information to come and ways you can help! Stewards of Children is the training program we participate in to aid in providing a safe environment for children. Anyone who volunteers to work with children and all church officers are requested to take the course and have a background check. Read about our safety policy under Policies and Forms. The course is setup to be taken online at your convenience. Register for Stewards of Children. Children are important to us at NPC! Children need to learn about Jesus and be equipped to live in today's world from their parents first. We are committed to assisting families in connecting their children with God through a relationship with Jesus Christ. We strive to provide curriculum, educational activities and events that are accessible, creative, fun, relevant, and have real-life application. If you have questions about any NPC ministry for children, contact the church secretary, or if visiting us, ask one of our greeters to help you find the right program. 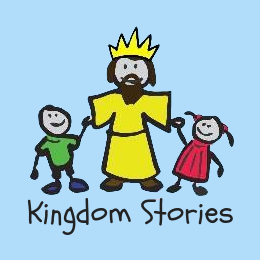 Children, ages 4 through 5th grade, will depart the sanctuary during the Passing of the Peace, to participate in Kingdom Stories in Barrow Hall. This program provides an intentional space and time to experience God through story, crafts, song, music-making, movement, activities and Bible dramas, all led by Rev. Micah Nutter Dowling. The children will return to the 11:00 service during The Time for Young Disciples. Moving into “Big Church” can be scary for some second graders because it is full of long prayers, big words, and lots of ups and downs. Therefore, every fall we offer a six-week Worship Preparation Class for second graders to help these future leaders of the church feel more at home in the Sanctuary. We take them through each part of the worship service to help them understand the importance and significance of each movement. We want our children to take an active role in our worship and this class gives them the information and confidence they need to fully participate.